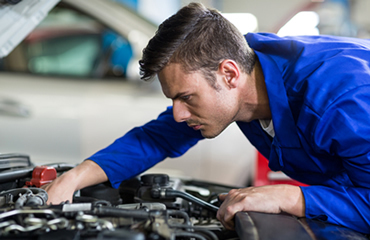 As one of the leading automotive repair facilities in Oklahoma, we offer complete body, paint, and mechanical services for all makes and models. Davis Paint & Collision Auto Center has been repairing Oklahoma vehicles since 1990. We are a locally owned and operated business you can trust. Once you’ve experienced our service, you’ll never go anywhere else. Whether you’re coming in for simple auto maintenance or you’ve been involved in an accident, and need everything from towing to a rental car, to mechanical and bodywork. You’ll have one person to guide you, one person, to call who knows your needs and can be there for you through every step of the process in getting you back on the road again. All of our work is backed by our Limited Lifetime Warranty and we work on everything from the smallest repair to the largest repair to get your vehicle back to pre-collision condition. We can also assist with towing, courtesy driver, rental vehicles, and insurance claims. We utilize the Shark Measuring frame repair equipment system. These frame racks are capable of multiple pulls; this is critical in returning your vehicle to its original factory specifications. Certified technicians restore the integrity of the frame or unibody to manufacturer’s specifications. Sometimes mechanical components have been damaged or need to be removed to gain access to other damaged areas of your vehicle. We have all the necessary equipment to handle these mechanical repairs. Paint repair is a standard part of the repair process when you have been in a collision. Our expert refinish technicians are certified in the most up to date I-Car certifications. Our certifications allow us to provide the best possible quality paint job for your vehicle. We utilize PPG Aquaborn Paint System. 1313 N. Air Depot Blvd.